Italian Goatskin leather skin Goat Hide Bubble Vanilla - 10" x 10" Inches. Lamb SKINS HIDES skin leather. LOT GREEN LEOPARD PRINTED. 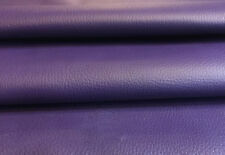 PREMIUM LEATHER HIDES & SKINS AT COMPETITIVE PRICES ! Premium Quality NAPPA Leather Hide, Skin, Supple and Smooth. The leather skins can be cut using scissors or craft knives. They have a very natural appearance and are very Smooth and THIN. (Engraved laser cut Black lamb leather DE18. lamb skin hide leather. Exotic Fashion Leather Perforated. REAL PIECE OF ART ! ). KHAKI & PICKLE GREEN lamb skin leather. DARK SEAWEED.PICKLE GREEN. LETTER&NUMBER. each apr. Multicolor lamb skin hide leather DE18. Each hide apr.over 4-4.5 sf. 70 cm x 45 cm ( 28" x 16"). 80 cm x 40 cm ( 32" x 16"). THICKNESS:between 0.6-1 mm. This hide is dark blue. but distressed. have blue shadows on surface. check the photos. visible on first photo. colors : dark blue. backside sude finished not usable. minimal natural imperfections may exists. PINKY RED PLAID PATTERN PRINTED SMOOTH CALF SKIN LEATHER. colors : pinky red,pink,dark blue ,yellow. each apr. (TRIANGLE Engraved laser cut Black lamb leather DE18. lamb skin hide leather. Exotic Fashion Leather Perforated. REAL PIECE OF ART ! )). THICKNESS: 1.2 MM. Colors : dark eggplant. very close to black. backside sude finished not usable. BLACK SMOOTH FINISHED LEATHER HIDE SKIN LAMB LEATHER. backside sude finished not usable. colors : black. Light Beige Line wrinkled smooth finished. 70 cm x 40 cm ( 28" x 16"). (Engraved laser cut Black lamb leather DE18. lamb skin hide leather. Exotic Fashion Leather Perforated. BLACK SUEDE. REAL PIECE OF ART ! )). (TRIANGLE Engraved laser cut Black lamb leather DE18. lamb skin hide leather. Exotic Fashion Leather Perforated. REAL PIECE OF ART ! )). (TRIANGLE Engraved laser cut Black lamb leather DE18. lamb skin hide leather. Exotic Fashion Leather Perforated. 80 cm x 55 cm ( 34" x 25") 1 hide have deffects at the edge. REAL PIECE OF ART ! )). 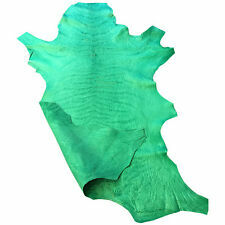 (Multicolor lamb skin hide leather DE18. "Look like OIL PAINTING". REAL PIECE OF ART ! )). (Engraved laser cut Black lamb leather DE18. lamb skin hide leather. Exotic Fashion Leather Perforated. REAL PIECE OF ART ! )). HIDES HAVE HOLES ( DEFFECTED SPOTS ). Bookbinding, Craft Projects, Trimming/Accents, etc. High end Italian Deerskin Very Soft Grade A. Bookbinding, Craft Projects, Trimming/Accents, etc. Finish: Rustic, Textured, Veg Tanned. Colour: Cognac. New Zealand L ambskin Leather -100% Genuine Natural Leather Hides. SIZE: 8 SqFt (On Average 41¨x 22¨at longest and widest). Light Platinum Lambskin leather skin Lamb Hide (salmon back) 5 SqFt 0.9mm 2oz. Very high end Italian lambskin Grade A. This lambskin is easily machine sewable. thickness: 0.9 mm (2oz). Weight (thickness) Approx Size Chart GOOD CONDITION. 2. 8 1/32". 10 4.00 5/32". High end Italian Lambskin Very Soft Grade A.